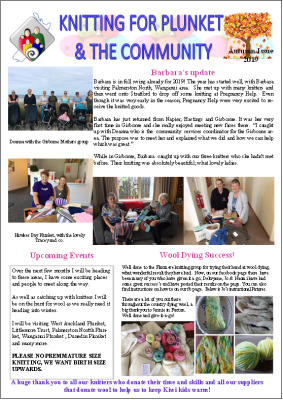 Barbara started the Knitting for Plunket and Communities Project in 2009. We are shortly coming up to our10 years anniversary. When Barbara started we had only a few knitters mainly staff from the Trust but it has now expanded to over 400 around New Zealand. 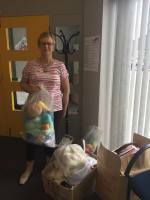 Over this time we have given away Thousands of items for babies and children in need from Kaitaia to Invercargill. We have had some very generous to help with wool from Steve at Countrywide Yarns, Oliver at Wentworth Distributors, Megan at Woolyarns, Maree at Skeinz and also Crucci Wool. Without their help we wouldn’t have been able to give away so many garments and blankets. Wool donations also come in from the public after they hear about what we do and want to help. Funding raising from Lions, Rotary and the public helps us to get money in towards courier and postage charges. Ladies, I am sure over the years we have all had that caught short moment or had that oh no feeling and had to scramble to find or borrow a sanitary product, now imagine you have that moment but have nothing to use and nothing to borrow, this is a very real problem for a number of our female community in Canterbury. After talking to a few people and the registered charity Kiwi Family Trust I have decided to start up "One for you, one for me"
"One for you and one for me" is a really simple concept - when you do your grocery shop you put in one sanitary product in for yourself and one in for someone else, it doesn't matter what brand or what size the pack is, everything counts when you have nothing. It doesn't have to be every month but more of an" actually I can afford to do that this month" type of thing. 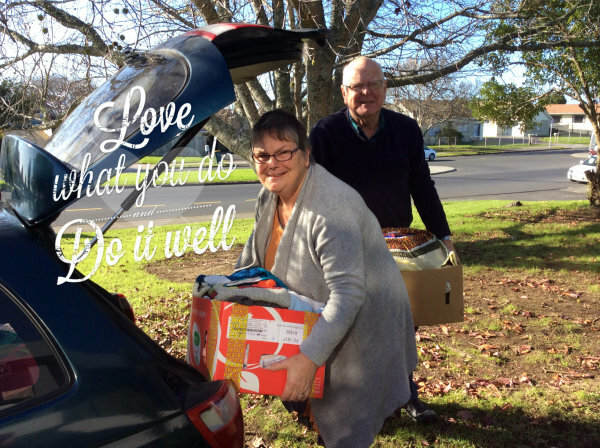 I am happy to come and collect from your home or workplace on a Friday afternoon and deliver to Kiwi Family Trust where they will give it to those families and other orgnisations that have families on their books in need. 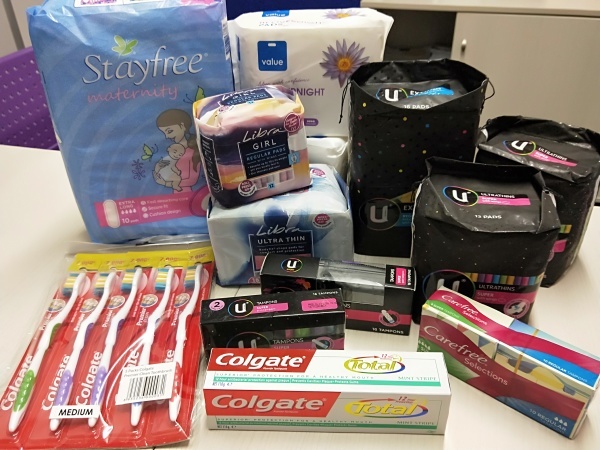 While my main focus is the sanitary product I know that things like toothpaste, toothbrushes, razors, shaving creme, deodrant, shampoo is also in high demand and I am happy to deliver that that too! 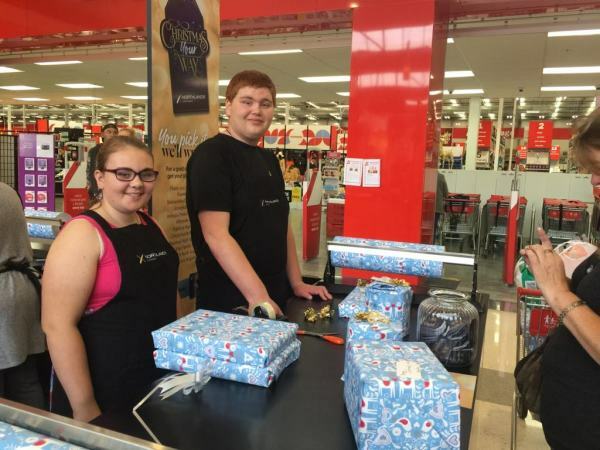 Kiwi Family Trust is proud to be part of the Northlands Xmas wraping project organised by Rotary Papanui. For the past 9 years we have been privileged to wrap at the mall and rasie much needed funds for a variety of community groups. If you or someone you know would like to joining our wrapstars! please get in touch and let us know. All proceeds that we recieve go into our youth projects.